LONDON -- Teslas and Nissan Leafs are likely to become a much more common sight on the world's roads in the next two years, the International Energy Agency says. The global fleet of electric vehicles is likely to more than triple to 13 million by the end of the decade from 3.1 million last year, according to a report released Wednesday from the Paris-based institution, which was set up to advise industrial nations on energy policy. Sales may soar 24 per cent each year on average through to 2030. The findings illustrate the speed at which the world's transportation system is shifting toward cleaner fuels as governments focus on limiting pollution and greenhouse gases. Tesla and Nissan have some of the best known EVs on the road now, but major automakers from Volkswagen Group, General Motors and Audi have followed suit in announcing dozens of battery-powered versions of their models. "The dynamic policy developments that are characterizing the electric car market are expected to mobilize investments in battery production, facilitating cost reductions and ensuring that battery production takes place at scales that exceed significantly what has been seen so far," said Pierpaolo Cazzola, senior energy and transport analyst at the IEA and one of the authors of the report. Canada’s BEV and PHEV stock through 2017 was 45,950 vehicles, 8,710 of which were purchased in 2017. The BEV and PHEV market share was 1.1 per cent in Canada in 2017, about the same as the United States (1.2 per cent), New Zealand (1.1), Korea (1.3) and Japan (1.0). While the U.K., Germany, the European Union and the United States have all committed to future spending on EV infrastructure — sometimes as far out as 20207 — Canada had only committed US$250 million through 2017. The United States, for example, has earmarked US$2 billion through 2027. Canada recently announced that 75 per cent of its new light-duty administrative fleet vehicles will be HEVs, PHEVs or BEVs from 2019, and that government fleet procurements will move to 80 per cent zero-emission vehicles by 2030. EVs are expected to take just over a quarter of vehicles sold in the Asian nation by 2030, up from 2.2 per cent last year, according to the IEA's estimates. More than half of global sales in 2017 were in China, followed by the U.S. The Chinese government has put a number of policies in place to encourage EVs, party of an effort to cut air pollution in smog-choked cities. In 2017, the government in Beijing it set minimum requirements for domestic automakers on electric vehicle production through a credit trading system. It also extended a 10 per cent tax rebate for consumers until 2020. 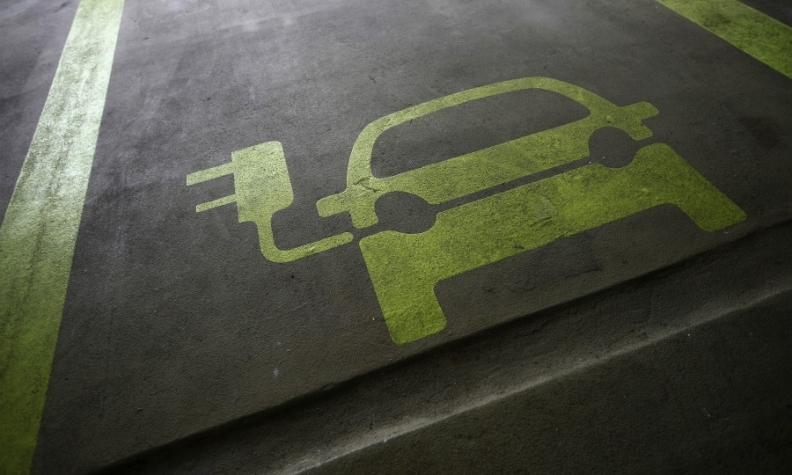 Electric cars run on batteries charged by power plants, instead of on gasoline or diesel fuel. With an estimated 130 million light-duty vehicles expected on the world's roads by 2030, the IEA estimates about 2.57 million barrels of oil per day won't be needed. That's about as much as Germany uses each day. Last year, the global EV fleet displaced 380,000 barrels a day of demand, about half of what Belgium consumes. The IEA's estimate is punchier than Bloomberg New Energy Finance's expectation that 2.23 million barrels per day will be displaced from the market by electric vehicles by the end of the next decade. Demand for batteries is expected to rise by a factor of 15 by 2030, largely driven by light-duty vehicles such as cars and vans. China's burgeoning market is expected to make up half of the world's demand, followed by Europe, India and the U.S.
That means the world needs many more battery production plants like the Gigafactory that billionaire Elon Musk's Tesla is building in Nevada. That facility will produce 35 gigawatt-hours of batteries over 4.9 million square feet of operating area. There will be 1.5 million electric buses in use worldwide by 2030, up from 370,000 last year, according to the IEA. Almost 100,000 electrified city buses were sold last year, 99 per cent of them in China. The Chinese city of Shenzhen is leading the pack with an all-electric bus fleet. A number of cities in the Europe's Nordic region such as Oslo, Trondheim and Gothenburg also have electric buses in operation. Cobalt and lithium are key ingredients in the rechargeable batteries that power electric vehicles as well as electronics from mobile phones to laptops. Demand could possibly rise tenfold, but technological advances and adjustments to battery chemistry could also significantly reduce this. Since about 60 per cent of the world's cobalt is mined in the Democratic Republic of Congo where child labor still exists, battery makers are under pressure to show that their products are made sustainably. This may provide an incentive to shift away from cobalt-heavy batteries.